January 2012 – Wheeler Blogs. The title says it all: Pinterest has come along and changed the social media landscape. Okay, that may be a little dramatic, but Pinterest is definitely an innovative social networking site. Actually, it’s hardly a social network at all… it’s more of an online creativity and inspiration hub. At least, that’s how I view it. I use Pinterest for a variety of reasons and they all seem to have a similar theme: I want to be inspired. I turn to Pinterest to find new things I want to try, express my personality or simply find something I might not discover otherwise. Pinterest is a visual pin board where you can collect images you find on the Web and arrange them in categories with links back to the original site. It’s been described as being like a binder or folder that you use to store everything you clip from magazines and newspapers, but you have the added advantage of seeing what all of the people you are connected to have been clipping and saving. Even the above description sounds intriguing and different. Having access to the creative “binders” of everyone you’re connected to (and basically anyone on Pinterest) makes it easy to find things that interest you and expand your creativity. The fact that all the images link back to the original site makes it a great traffic-driving social network. I experienced this first-hand when I posted a photo of Buddy the Elf from my blog. I saw a significant spike in unique visits to my site and I have pinned images of my site since then. Pinterest is now the No. 6 referrer to my site. For a retailer, especially a small business with creative/handmade merchandise, Pinterest makes it easy to publicly display product and find new customers. Some of my boards on Pinterest. I have a board dedicated to bacon as well. Yes, bacon. Pinterest is now referring more traffic to retail sites than Google+ and is a top contender in the Hitwise Social Networking & Forums category. For these two reasons alone, Pinterest is now a critical component for marketers in the retail industry. With Pinterest being such a new social network how can marketers and social media managers tap in to this new medium? I think the answer here is simple. Just as you should research other social networks before creating a strategy you should for Pinterest too. Look at what your competitors are doing. Look at what your customers are doing. Get to know the social network and what type of pins get the most repins and likes. A little monitoring and research goes a long way. Keep in mind Pinterest may not be ideal for every company. Though Pinterest has just become popular in the past couple months the site has been around for nearly two years. I only joined about six weeks ago and already have more than 450 pins and have created 23 boards. Yes, Pinterest is addicting. I think the main reason behind the success of Pinterest is it allows users to express their personality. If you are not yet on Pinterest be careful. It is addicting (that’s my second warning). Are you on Pinterest? What has been your experience so far? Please share your thoughts in the comments below or send me a tweet: @eric_wheeler. Please feel free to follow my pins: http://pinterest.com/eric_wheeler/. "Visions of Minnesota" takes place Jan. 27 from 4-8 p.m. 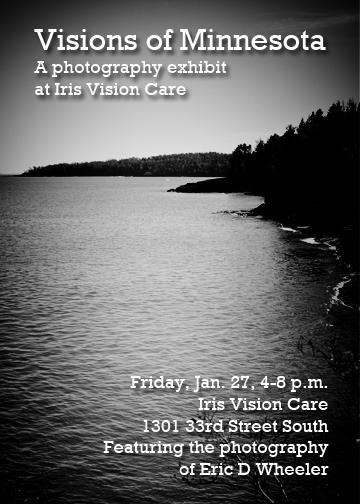 Tomorrow (Jan. 27 from 4-8 p.m.), I will present “Visions of Minnesota” at Iris Vision Care–my first solo photography exhibit. “Visions of Minnesota” will mainly feature black and white photographs from around Minnesota and will also have a few color images. I have also been experimenting with photography on my iPhone (or iPhoneography as some may call it). For the past 45 days, I have stepped out of my apartment to snap a picture using my iPhone 4 of a road leading down to the Mississippi River here in St. Cloud, Minn. The road was recently put in along with a new park and is enclosed on both sides with tall trees. 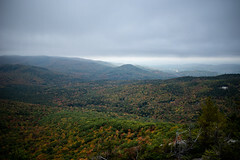 The project started after going on a photo walk one exceptionally foggy morning and has continued since. Besides the natural beauty of looking downhill on a road engulfed in ominous trees, the project has gained traction as I have pushed both my curiosity and creativity through the use of iPhone photo applications. Each photo is snapped from the same position and, although I use many different iPhone apps to create various effects in post-edit, each image ends up on Instagram and can be viewed by searching the hashtag #wheelers_road. 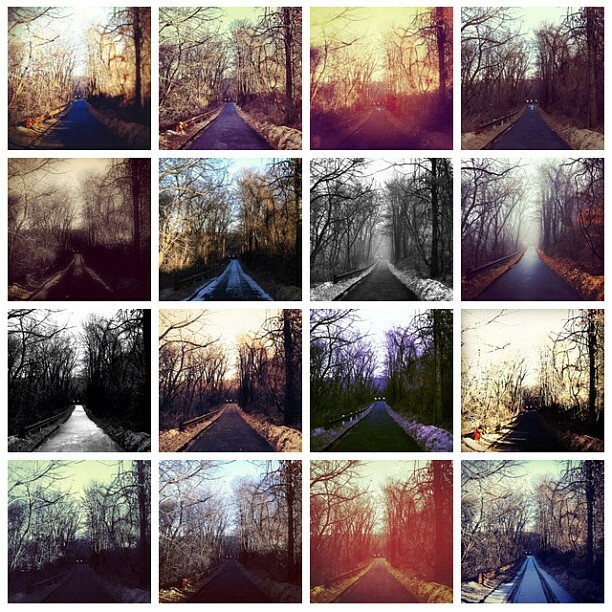 The first 16 days of my photo-a-day project utilizing multiple iPhone apps to capture a tree covered road. The bulk of my show, however, takes a largely traditional approach to photography and includes many black and white landscapes and a few landmarks from central Minnesota, the Iron Range and Duluth. 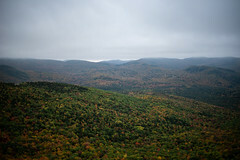 I will have a few color photographs on display including images from depicting nature and landscapes. The event is free and open to the public and all pieces are available for purchase. I should probably fully disclose that this is technically a public relations event for Iris Vision Care. My girlfriend, Dr. Sally Jackula is the owner and I have been doing some light PR, photography and social media marketing for her for the past year or so. The main motive for holding the event at her office is to build awareness, get foot traffic and hopefully help her gain a few new clients. That being said, I am very much excited about showing off my work for the first time without any public backing or organizational support such as being part of an art crawl or photography contest. 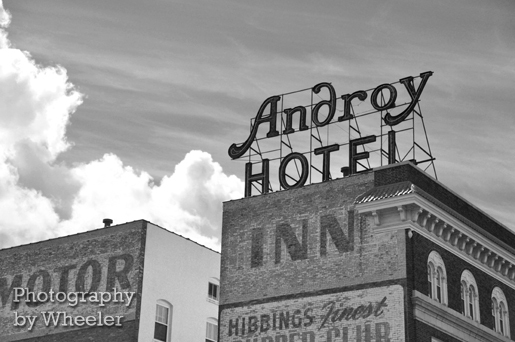 This photo of the Androy Hotel in Hibbing, Minn. will be one of my larger framed photos for sale. From a public relations perspective this has definitely been a success so far. One of my photos taken at Quarry Park last year is currently featured on the cover of Minnesota Moments magazine, which hit newsstands earlier this month. I ordered 100 postcard-size invitations to hand out (pictured above). I secured an interview with an arts reporter who ended up writing a story, which ran in the Jan. 19 edition of Up Next. I submitted my event to several area events websites including the sctimes.com, kvsc.org and aroundthecloud.org and even got a live-read community service announcement on KVSC-FM. Of course, I put forth the standard social media effort as well–creating a Facebook event and cross-promoting on my photography page, personal page and on the Iris Vision Care page. I spread the news using Twitter, Google Plus and LinkedIn as well. I even changed my cover photo on Facebook. 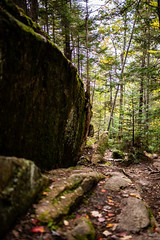 To top it all off, Ryan Ott featured my photography exhibit in his “Five things to do in Minnesota” for this weekend on iammnnice.com. That was a bonus I didn’t even see coming. Thanks, Ryan! With that, I hope to see you at Iris Vision Care to check out my work as a budding photographer. Please help me spread the word during these final hours leading up to the event by sharing this post. Thanks! Three Years on Twitter: I’ve Come a Long Way. Three years on Twitter and this is the best image I have in my archives. Lame. According to Tweet Grader, I joined Twitter on Jan. 13, 2009 along with Ben & Jerry’s, Seth MacFarlane and the WNBA World Champion Minnesota Linx. I had heard of Twitter a few months prior to joining and was told reporters were using it to “alert the news team when they arrived on scene and provide updates of news as it was happening.” Seeing as how I was working for my fraternity at the time that did not really interest me. In my eyes however, Twitter really started to take shape to its current state when 2009 rolled around. 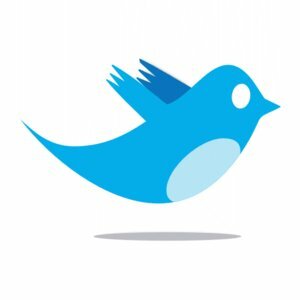 I started to notice more friends, news organizations and brands joining Twitter. So, on a slow day at Acacia HQ, I created my Twitter account and @eric_wheeler was hatched (pun intended). I would love to see my first couple tweets, but I have apparently tweeted too many times and am unable to uncover them. I will be honest though, I think for the first few months or so I never really ‘got’ Twitter. I would occasionally log in and share an interesting article or interact with a few friends I was following, but I never really did much with it. Things finally clicked for me when I was watching the OU vs. Texas football game in my first semester of grad school at St. Cloud State in Minnesota. Being away from my Oklahoma home and anyone who truly cared about the game I turned to Twitter to see what people were saying. Sure enough, there were several ‘trending topics’ regarding the game and I was able to weigh-in and be apart of an online community based around one of college football’s biggest rivalries. I started checking Twitter more often to see what was trending. After a while, I realized most of the trending topics were worthless celebrity gossip and (somewhat) amusing hashtags. It was about this time though that I started to gain a personal interest in social media and the fascination behind bringing people from all around the world together through various topics or content. I started following some of the true social media rock stars such as Jeff Bullas, Brian Solis and Lee Odden. I began reading up on any credible articles I could find on social media and digital marketing. Soon I was searching for articles on my own on sites like PR Daily, Mashable and HubSpot. I would find as many (and still do) articles as I could to share with my followers. My follower count started to rise and soon I had my own niche community of people interested in social media, PR or other creative disciplines. I started my own blog (thanks for reading) and started participating in discussions on other blogs or articles. Before long, I was totally immersed in social media. Then one morning, I put my ‘slider’ phone through the wash and my life changed again: I bought an iPhone 4. This allowed me to check updates at anytime. If I had a thought, I could share it. If someone mentioned me in a Tweet, I could reply instantly. I was now constantly connected to what’s happening on Twitter. I would occasionally participate in tweet chats to further educate myself. I began building meaningful relationships and used Twitter as a primary professional networking tool as I began seeking full time employment. Three years is not really a long time, but I do feel it is with social media. Twitter helped me graduate from Facebook, MySpace and some of the other less professional social networking sites into a whole new world of meaningful online networking. After three years of self/formal education, using Twitter professionally and building a genuine interest in ‘new’ media, I can now say Twitter has played a positive role in my life. Cheers to three years and another 6,753+ tweets!